Employers say they are eager to hire these better-trained, more rounded, more “practice ready” lawyers -- and they should be. That’s why the employment results for Washington & Lee’s School of Law are so troubling. Washington & Lee pioneered an experiential third-year program that has won accolades from many observers. Bill Henderson called Washington & Lee’s program the biggest legal education story of 2013 [more here]. The National Jurist named the school’s faculty as among the twenty-five most influential people in legal education. Surely graduates of this widely praised program are reaping success in the job market? Washington & Lee’s employment outcomes for 2011 were noticeably mediocre. By nine months after graduation, only 55.0% of the school’s graduates had obtained full-time, long-term jobs that required bar admission. That percentage placed Washington & Lee 76th among ABA-accredited schools for job outcomes. Using the second, broader metric, 64.3% of Washington & Lee’s class secured full-time, long-term positions. But that only nudged the school up a few spots compared to other schools -- to 73rd place. In 2012, the numbers were even worse. Only 49.2% of Washington & Lee’s 2012 graduates obtained full-time, long-term jobs that required a law license, ranking the school 119th compared to other accredited schools. Including JD Advantage jobs raised the percentage to 57.7%, but lowered Washington & Lee’s comparative rank to 127th. These numbers are depressing by any measure; they are startling when we remember that Washington & Lee currently is tied for twenty-sixth place in the US News ranking. Other schools of similar rank fare much better on employment outcomes. Just last week, California’s Task Force on Admissions Regulation Reform suggested: “If, in the future, new lawyers come into the profession more practice-ready than they are today, more jobs will be available and new lawyers will be better equipped to compete for those jobs.” (p. 14) If that’s true, why isn’t the formula working for Washington & Lee? Washington & Lee’s employment outcomes are a puzzle that we all need to confront. Graduates from most law schools, even high-ranking ones, are struggling to find good jobs. Experiential education can work pedagogic magic and prepare better lawyers, but it’s not a silver bullet for employment woes or heavy debt. On those two issues, we need to push much harder for remedies. Stephen F. Diamond (Santa Clara), "An Employment Puzzle” – Law School Critics Stumped! Law Firm: "We really don't need another attorney." Law Schools: "But these are 'practice ready' attorneys." Very valid point, but you credit these schools with way too much sincerity. The idea of "practice ready attorneys" is just a marketing scheme. They also need to look like they're doing something in response to the criticism. And heaven knows, the certainly don't want to cut salary! Articles like this remind me how the legal education system fell into the abyss. Ivory tower intellectualism devoid of real world footing. Interesting this comes from someone at Ohio State. I would expect ivy league. Amazing how smart people can be so removed from reality. Keep playing that violin . . .
Northeastern has similar employment percentages despite four mandatory, three-month co-op's. Lesson: The Cravath Method trumps any real or perceived vocational knowledge. Well its good that they are failing fast. Now they need to pivot and listen to the prospective employers to find out what they need to do in order to attract more employers for their graduates. Failure should not be feared in the innovative process, it needs to be embraced and learned from. W&L does pretty well when you measure quality jobs -- clerkships, biglaw -- as a percentage of the graduating class. Merritt tends to exaggerate the stats to make her point. W&M's 55.9% in 2012 is "significantly better" than W&L, but Merritt bemoans that W&L placed "only" 55% in 2011. Is 55.9% really that much more than 55%? "Only 49.2% of Washington & Lee’s 2012 graduates obtained full-time, long-term jobs that required a law license"
"William & Mary placed only 55.9% of its 2012 graduates in full-time, long-term jobs requiring bar admission -- but that was still significantly better than Washington & Lee’s results"
Is 55.9% statistically significantly better than 49.2%? What are the standard errors on those estimates? How much do the numbers vary from year to year? What are the p-values? That is, do we know this is a real difference and not noise? How did Washington & Lee compare to these other schools *before* it implemented the new experiential learning program? How do the populations of students differ? Do differences in the location of W&L and William and Mary within the state of Virginia make a difference? It is a big state and the two schools are 3 hours apart, with William & Mary on the coast and Washington & Lee in the interior. Merritt might be right. And she's trying to do the right thing by evaluating education reforms based on outcomes rather than untested assumptions. But she hasn't done the serious empirical work for us to know whether she is right or wrong. Why should employers hire washington & lee grads for money if the "experiential learning" model will provide a fresh crop of interns every year willing to work for free? JayGo, I am not sure I understand your point. Anon @ 3:31, I have been making the same point for some time now. The poor jobs numbers aren't a function of poor training. Instead, they are a function of a poor job market. The law schools that train and market better will be relative winners in a loser industry. My point has been fairly simple: there's nothing wrong with having unemployed or underemployed graduates and there's nothing wrong with graduates with heavy debt loads, but there's something incredibly wrong when you have unemployed/underemployed graduates with heavy debt. Schools should either reduce cost or shut down. The market for legal education is not there. I'm a recent graduate and I have to say - one of the reasons many students sincerely believe the statistics are so terrible is because W&L Law's office of career planning is, quite frankly, AWFUL. It is just...terrible. Students regularly hear horror stories about excellent firms contacting W&L to hire students, and the office of career planning simply won't respond or responds poorly. Students are consistently given bad advice about job searches, application processes, or resume/cover letter adjustments. The office of career planning makes little to no effort to reach out to new firms or create job fairs. Further, everybody working in the office is, by general consensus of the student body, incompetent. Although the problem of employment isn't entirely the fault of the office of career planning, it is clear based on student consensus and experience that they are largely to blame. This problem could, and MUST be solved by literally firing most of the staff in the career planning office. W&L has a policy of shuffling people around that have been at the law school for years but consistently underperform or provide no real benefit to the school...and unfortunately some of those people have ended up in career services. Either way, the new Dean needs to do a major renovation of this office, otherwise the school risks dropping down further in the rankings. Something not mentioned above is the question of hiring a "practice ready" new lawyer prepared according to law teachers' sense of what is required to be ready when you "hit the ground" versus hiring a young lateral with actual and provable "real" experience who is among the many lawyers made available by firms' downsizing. I am simply speculating but if I were hiring I would tend to go with the actual and measurable experienced young lawyer versus the products of law professors decisions about what skills and professional values best play out in law practice. I know that some will respond that the academics are better situated to provide the training but the reality is that skills education and professionalism courses have been around for some time and many practicing lawyers actually have had what is being packaged for various reasons as a "practice ready curriculum". This would mean that a lawyer with 2-4 years actual practice and relevant law school courses should be a preferable hire in many instances. To the extent that such lawyers are likely to have an outlook that is very realistic about salary and promotion issues there is a chance they will not cost any more than a hire straight out of law school. And when the bar passage period is taken into account along with the need for specific training in a particular job it is possible the economic costs will be equivalent and productivity considerably higher for the laterals. We had a talk about the W+L program and it turned out they basically used adjuncts to fill up the third year. It doesn't work because it doesn't have much substance. The reality is that Rutgers and numerous other public law schools provide a better value than more expensive schools with trendy marketing devices. Why would anyone think that a law school faculty could develop a curriculum that will produce "practice ready" lawyers when almost no law faculty are practice ready? As a professor who has taught in the new third-year program at W&L since its inception, I wanted to chime in regarding one dimension of the measure "success" that your article ignores, namely, whether the third-year program is achieving its goal of better preparing students for "the real world." To date, I have taught a civil litigation practicum to approximately 80 third year students. At the end of the semester, they possess more practical litigation skills than any first year associate that I ever observed while in private practice. And they know a heck of a lot more than I knew as a green, first year associate. I believe that many of my colleagues at W&L would make the same observation about their law students and their skills. In short, the third-year program is working splendidly. 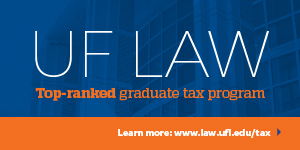 W&L Law School is producing graduates who can smoothly transition from law school to private practice. And I'm confident that, as more employers become familiar with this very new program, that employers will continue to be realize the quality of our students. Exactly right. Law professors should confess that they are really only good for one thing -- explaining the law as it exists on the books. I've seen some law schools advertise that their students graduate "client ready." That's absolutely impossible, and they should be taken to task for saying that. It's sad how law schools have become bastions of false advertising just so that they can keep a steady stream of students rolling in. Some law schools produce some "clerkship ready" students, but that is about it. Because experiential learning is not the norm now, the students who choose it are likely to be less conformist. Employers generally prefer maximally conformist employees, so any student who chooses an unconventional curriculum will have a strike against them. They may however do better in the long run--you probably need five years to do a robust comparison. Yes, W&L uses adjuncts in a lot of their third year. However, all school clinics are run by full time faculty members with significant experience practicing in that area of law (rather than maybe your traditional career professor). Other "practicum" classes are taught by adjuncts, but these adjuncts are generally extremely impressive practicing attorneys. For example, Appellate Advocacy is taught by a VA Supreme Court Justice. I don't understand how using adjuncts who may be better placed in terms of giving "actual practice experience" results in the program not having much substance. DR @ 7:26: A near relative is a current student at W&L. Several of my relative's professors have siginficant and current real-world practice experience. Two in particular from this past academic year would be immediately recognizable as leaders in their respective areas of practice. There may indeed be a disconnect between what skills and experience employers tell W&L they want in new graduates and what they actually use to make hiring decisions, W&L's ability to train their graduates in the desired skills, or the success (or lack of) in W&L getting recruiting employers and students together. A general oversupply of new attorneys may overwhelm the benefits of the W&L approach. But lack of real-world experience in faculty does not, in my opinion, appear to be a root cause. HTA, who posted above, hit the nail on the head. The problem with W&L students getting a job is, and always has been, the office of career services/planning. They are utterly incompetent--beyond worthless--and for some ungodly reason the school refuses to fix the problem. I have personally seen the total resistance the administration has to any meaningful change in this area, and it is infuriating. W&L students are as sharp and as well-rounded as any in the country and they get an excellent education from a stand-out faculty. The school is small but has a great alumni network, people who are very successful and well-connected all over the country and who are passionate about W&L. W&L has a culture and history that has a tendency to produce alums who are unusually proud of and loyal to their school. But career services utilizes none of these advantages and their incompetence in the various other areas mentioned by HTA above actively discourages firms from recruiting at/from the school. When I went to W&L Law, it was Top 20. The school really deserves to be top 15. If students had better opportunities for placement around the country, I guarantee you would see those rankings rise rapidly. It's the only thing really holding the school back. The employment numbers are not drawn from samples, but rather are supposed to represent every case known to the reporting dean. Thus there is no need for a statistical test that produces a p-value. You have to just eyeball that 6% difference and see if it seems substantial compared to longitudinal fluctuations that we don't care about. If you are worried about those then produce a moving average. That's the standard story at least. W & L's job placement figures have nothing to do with its third year program. W & L's reputation has been slipping with Virginia law firms over the last several years. 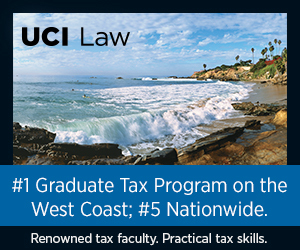 The new program could help in the long run if law firms see that its graduates have improved. W&L Law Alum is right about the "Career Services" at that school. At the beginning of the last decade, the office was good: W&L's employment statistics were on par with other schools in the top 20, and were really amazing for such a rural school. (W&L also placed extraordinarily well into clerkships.) Sometime around 2004 or 2005, the people who had been in the office left and were replaced with people who, if I am not mistaken, had never done legal career services in their entire lives. W&L gives a great legal education to talented students, but it's a small, rural school that people have not heard of: it needs a good career services office in ways that other schools do not. Look at the U.S. News that came out in fall 2007 or spring 2008, and you'll see that even back then, W&L's employment stats were dead last in the top 50 schools. That is appalling enough, but it's a professional school, not three more years of generic liberal arts. Yes, W&L has horrible employment rates, even after its revamped 3L curriculum. What you're all missing is that its employment rates were just as bad prior to the 3L curriculum. "Bush's negative impact on the profession cannot possibly be calculated"
I calculate it as being .00000000000000000000001% as significant as the law schools lying about their placement rates for 2 or 3 *decades*. The schools wanted ever increasing amounts of money and they lied to get it - creating a *huge* surplus of lawyers relative to demand (the latter being what the schools consistently lied about). The source of the current ruin is as simple as that - utter corruption at the heart of the legal education complex. The schools besh*tted their own reputations (ask the overwhelming majority of alumni...check the alumni giving rates (single digits if that)...). Another possibility worth exploring is that W&L does not deliver on its promise of experiential education, and employers have picked up on that. As I understand it, W&L's vaunted third year consists of role-playing games or, as W&L law Prof. James Moliterno puts it, "elaborate simulation courses that we call practicums." Take, for instance, Law 301P, the "Higher Education Practicum," which is described in W&L's online catalogue in these terms: "The course will employ context based and integrative learning techniques as the educational format. Students will work in teams to represent students, faculty members, university trustees, university administrators, alumni student organizations, public interest groups, and other parties in a variety of hypothetical problems and exercises requiring strategic thinking, critical analysis of legal principles, and understanding of the cultural, political, and social traditions of American colleges and universities." Doesn't the fluent academese trigger one's skepticism? How does "understanding the cultural, political, and social traditions of American colleges and universities" lead to true practice-readiness? Is it likely that the "variety of hypothetical problems and exercises" i.e., the role-playing scenario constructed by the professor and and played out by clueless kids pretending to be lawyers, is anything more than a cartoonish simplification and distortion of actual litigation? My gut reaction, no kidding, is that I would rather take a course in 19th century German philosophers. This is one outcome datapoint. Abovethelaw recently did some rankings based on outcomes data and had Washington and Lee at #38 and Professor Merritt's Ohio State at #46. http://abovethelaw.com/careers/law-school-rankings/ What caused Ohio State to perform so much more poorly than Washington and Lee on the outcomes measures that abovethelaw was ranking? At Washington & Lee, as at most schools right now, we would prefer that our students were more successful in obtaining employment. But the 2012 employment figures, unfortunate as they are, say nothing about our curricular reform. It is simply too early, . . . much too early. The 2012 numbers refer to the first full class to pass through the reformed third year curriculum. Ours is a slow-to-change profession. Employers as a group do not change their settled practices on a dime. Nothing in the employment numbers that we see for the next 3 to five years should be seen as reflecting on the reception given to the curriculum reform. No curricular reform I know of, including Langdell’s, changed settled practices of others overnight. We are confident in the reform and the value it adds to our students. The reform has become reasonably well-known within legal education, but we have considerable work yet to do to make it known and understood to the employing-branch of the legal profession. The education a W&L student receives today is more rigorous than was the education received by their predecessors. 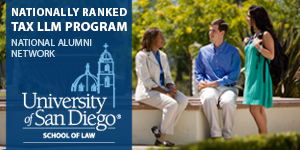 The first year, with added requirements of administrative law and transnational law and professional responsibility, continues to be taught with the techniques and materials that have made the first year a legal education success story. The second year, too, is largely unchanged in its methodology. But in the reformed third year, students are challenged in ways they are not challenged in the traditional third year. Students must study and adopt the analytical practices of sophisticated lawyers. They must write more than their predecessors in the traditional third year. They must problem solve more. They must work as teams. They must progress in the mastery of the complex mental processes of sophisticated lawyers. The data gathered by the Law School Survey of Student Engagement shows that our third year students are more actively involved in their education than both their W&L predecessors and current students at our peer schools. And, too, students in the new curriculum continue to learn law, but they learn it as lawyers do rather than as students do. In a course, for example, such as The Lawyer for Failing Businesses, the students learn bankruptcy and creditor law. But they learn it to solve a client’s problem or engage in other representation activities: they learn the law to use it instead of to pass a 3 hour exam on it. They begin to form the mental pathways of lawyers, who analyze and act on client needs by weighing a wide variety of factors beyond the law itself. Business interests, reputational interests, client risk-comfort levels and a wide variety of other factors weigh into that advice and work of sophisticated lawyers. Students in the reformed curriculum begin to develop those critical sensibilities. I fully agree that it is incumbent on employers to "buy" what they have implored law schools to do to prepare students for the rigors of sophisticated practice. Time will tell. Employers’ behavior is long- entrenched and employers are being especially cautious due to the financial crisis, but eventually we remain confident that these reforms, adopted in the midst of the most turbulent market in legal services in modern history, will bear fruit for all constituencies. The employment success of the very first class through a curriculum reform comes far too early to launch speculation about its connections with the reform.